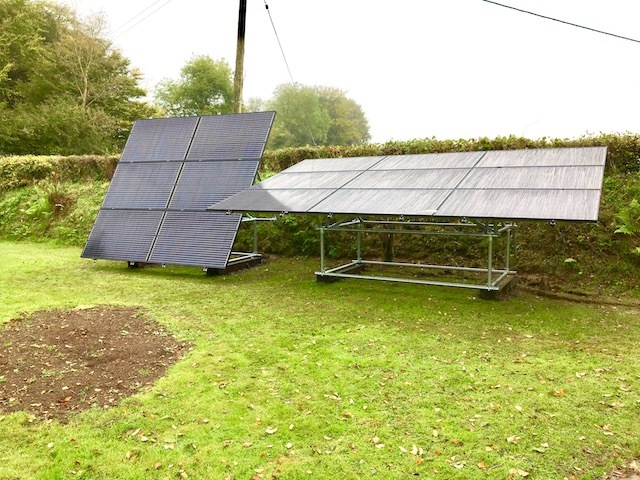 Panels installed with a Cornish Rocker adjustable ground mount system achieve up to 40% more output in the winter, compared to a fixed or roof mount system. 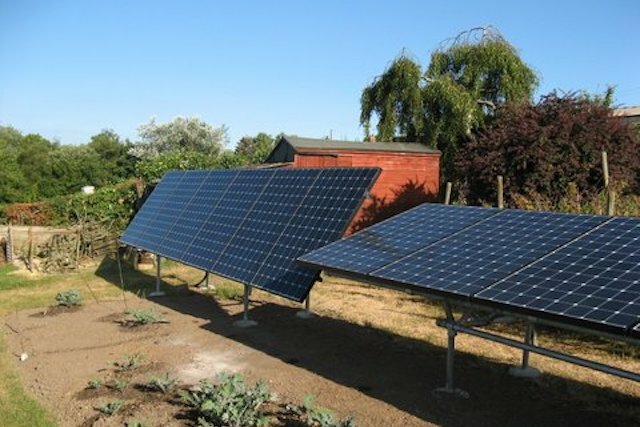 Solar panels operate best when the sun hits the panel directly. In the UK at the height of winter, the sun reaches a maximum angle of 20° off the ground, however most PVs are fixed at 60°. Angling the panels at 20° in the winter, rather than 60°, can increase the yield of the panels by up to 40%. We are working in partnership with the National Solar Centre and the Eden Project's Green Build Hub to fully assess the benefits of the Cornish Rocker. The Eden Project was so impressed with the concept behind the Cornish Rocker, they asked if they could install 29 frames on the roof of their new Green Build Hub. 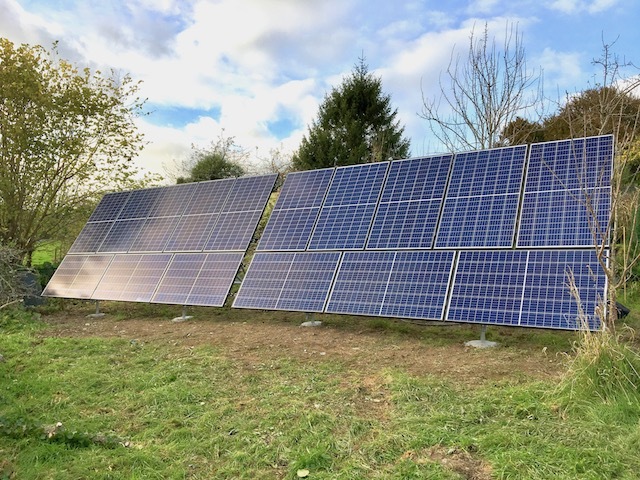 The panels have been set at different angles to fully assess the benefits of the adjustable frame and the data is being monitored by the National Solar Centre. The initial results are very encouraging and we are learning more every week. We will be publishing the full finding in the near future with more updates along the way. Chris provides a free survey, where he will come on site and talk through your options with you. The site is marked up to indicate where the frames will be, and the trench is dug to get the cable to the solar array. Other options are available - speak to Chris to details. The frame is put up and made ready for the panels to be attached. An electrician comes on site, and the frames are attached to the array. 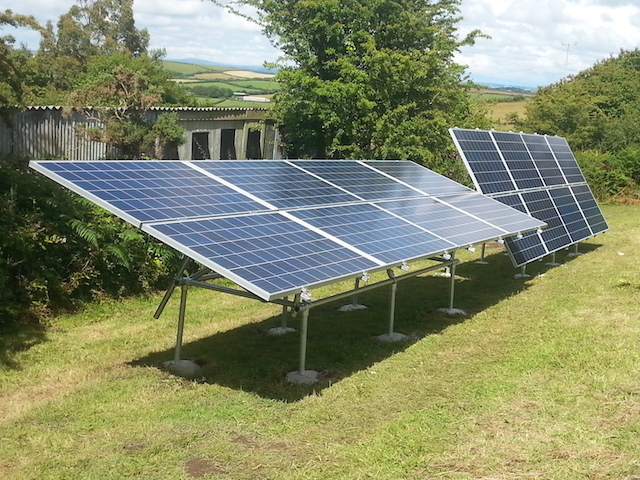 Your panels are ready to start producing electricity! The Cornish rocker can come in many different configurations. Ultimately, we will design the system which works best for you, however here are our most popular configurations.